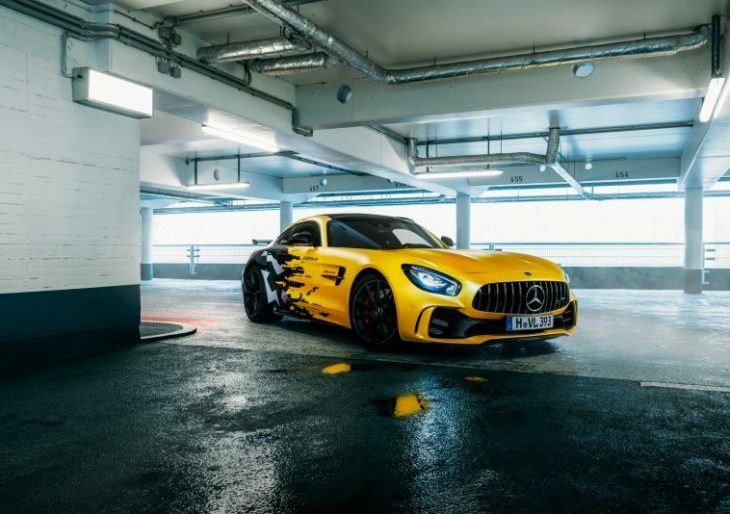 German auto tuner Fostla turned their attention to a Mercedes-AMG GT R recently. One thing’s sure: You’ll definitely see it coming. Fostla’s unique take on the GT R begins with their characteristically head-turning cosmetic treatment: a yellow wrap transitioning into the company’s ‘check-me-out-I’m-really-blending-in’ Urban Camo design detailing at the rear of the car. The tuner’s vinyl wrap approach has become a trademark of sorts for the brand, as it protects the original finish. An additional layer of XPEL film protects the wrap itself. The company used its mechanical prowess to boost the GT R’s output by 64 horsepower and 52 pound-feet of torque. 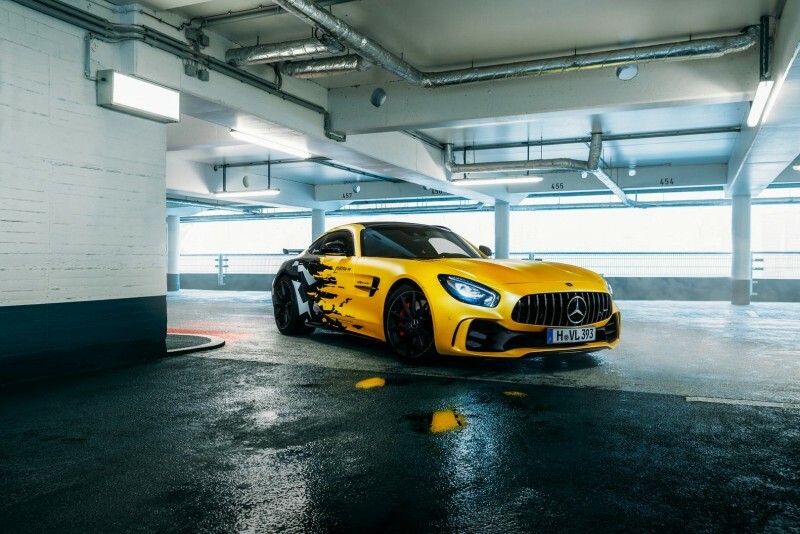 That’s gilding the lily a bit in this case; the 4.0-liter twin-turbo V8 AMG engine pumps out close to 600 HP without any help at all. But the increase to 641 hp and 568 lb-ft of torque can’t be a bad thing. And the all-important 0-62 time for the Fostla-modified GT R? Unknown. Expect to see the stock model’s time of 3.6 seconds reduced quite a bit, though.